Celebrating in KL with family of mr BF in Ampang. Spent the 1st day visiting my friend and mr BF's friend. At night I joined his families for visiting Kpg Baru - Wangsa Maju. Day 2 - mr BF's families visiting. The journey starts from Bangi - Klang - Pandan Perdana - Ampang. Day 3 - Open House at mr BF's home and visiting again at night to Kajang & Wangsa Maju. 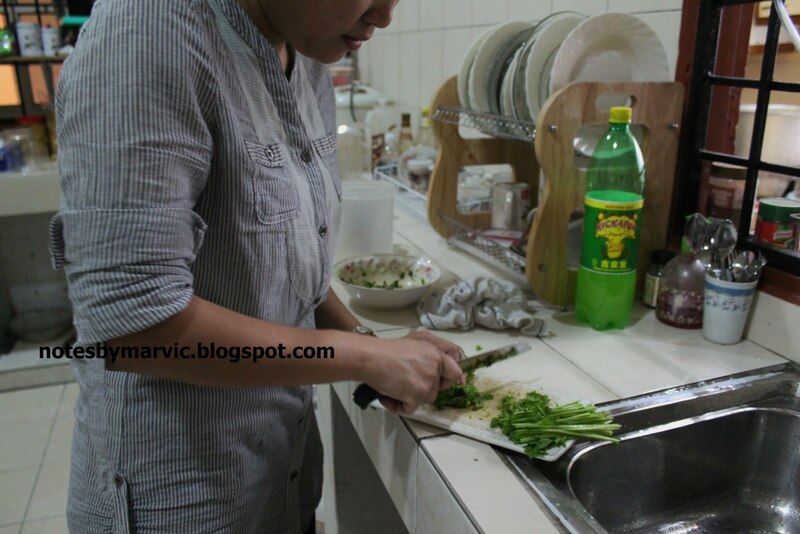 We were having Soto Ayam (Chicken Soto) cooked by mr BF's mom. Meanwhile, I has been appointed as 2nd chef which responsible with spaghetti. The menu was requested by his mother herself. I spent the whole time in the kitchen and keep replenish my spaghetti until I'm running out of spaghetti sauce after an hour later. Mr. BF has to drive out to Carefour Ampang to restock me with the ingredients. FYI, it was my first time to cook for an open house. Back at home, I have my mother and sisters that in charge with all sort of cooking back home. Not to mention I have two sister in law that definitely be in the kitchen to tackle my mother. So, me as the youngest daughter, I usually in charge of the driving or simply taking care of myself...hahaha..But now.. the situation will be different in the future as mr. BF is the eldest in the family. Can you see the responsibilities that I will carry out if I be the eldest daughter in law in his family...huge one I bet... owh..I better be ready with all of that.. Anyway... here is some of the snapshot during our Eid ul-Fitri together. This will be ready in 10 minutes time.. chaos!!!!!! Marvic... spagetti dah success. Next challenge jahit baju SIL pulak.. kidding. 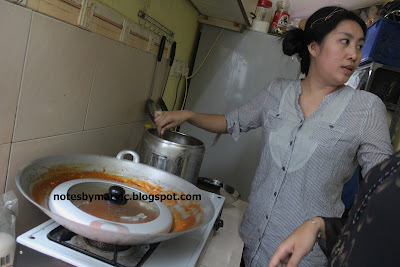 sibuk benar nmpak ko di dapur.. ke aksi untuk photog tu? hehe.